MAC talks about a new trigger for the TAVOR rifle. Machinist geeks will love this video. The creator of this trigger has all the tech speak for you. Would you spend $2000.00 for the rifle and then another $300+ for a trigger? My guess is "yes" since the triggers are currently sold out! 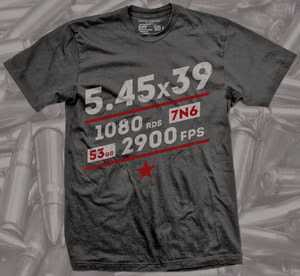 Tim is wearing the 5.45 shirt available from Russian Roulette Clothing.